The World Wide Web has been a great leveler. With the large-scale use of computers and computing systems, opportunities that were previously out of reach of ordinary folk have virtually arrived at their browser. Businesses from large corporations to brick and mortar ones have had to adapt to the electronic mode. Pamphlets, print advertisements, booklets, etc. have now started making way to their digital cousins. Research conducted across geographies now indicates that the investment in the digital outreach will all but replace the traditional channels. Every form of organization from governments, banks, NGO’s, hospitals now hosts a digital avatar of themselves. Businesses have managed to expand by expanding and reaching out the e-way. Computers, smartphones, digital ad screens are now the norm more than the exception. Any establishment needs to have a digital identity. The reach of a local restaurant multiplies manifold as it allows patrons a ubiquitous look up. Businesses also have advantages. A simple website could do what several physical outlets could do. Businesses can no longer ignore the e-commerce way as benefits regarding consolidated inventory, lower staff needs, larger reach, customer satisfaction, simpler supply chain dynamics help them in the longer run. There are several companies which only have a digital presence, i.e., nothing exists regarding large scale physical operations. Websites and web applications can be modified with seemingly minor disruption than a brick & mortar renovation. They allow users to be notified if anything of their interest is coming up. They also allow users to subscribe to updates via web push notifications. User’s interests, behaviors, preferences, and customizations can be gleaned from the subscriptions. Unlike mobile applications, which require the app to be installed, websites can send out push notifications via browsers. However, the users need to authorize notifications to be sent out. Users are allowed to opt-in or out of a service(s). 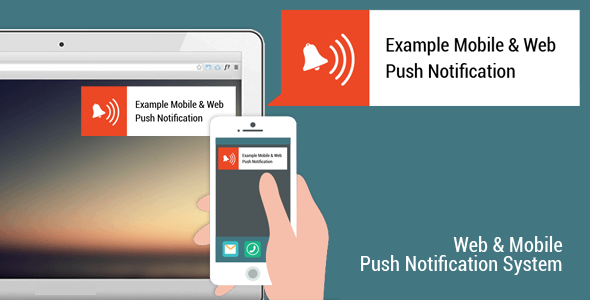 A compelling pitch on a web push notification can convert a visitor to a subscriber. Backing up this pitch with a good product or service can convert this subscriber to a long-term patron or customer. The Customer is always KING is a known adage. With web push notifications combined with insights derived from the customers’ subscriptions and preferences, the business can treat every customer as a KING, in their digital realm. A one-size-fits-all approach may not work. Enhanced pitches incorporating social proofs (e.g., 5000 customers have already used this.) or playing with a ‘scarcity mentality’ (e.g., last few pieces of products with a 5-star rating) result in desirable actions from customers. USPs (Unique Selling Propositions) catering to different customer segments are possible without diluting the overall brand proposition. Do I need to invest in a mobile app to push notifications? Smartphone usage is exponentially increasing with increased penetration of next generation mobile networks with the ability to deliver enhanced content. Social media corners a significant share of the online activity. On a broad spectrum, text messages and emails now score low. While mobile app scores high, the humble PC still holds sway across half the Internet-enabled world. A website can seemingly perform what a mobile app can still do. Once the web push notification is enabled, business is more than ready. So how often do we push notifications? Desired frequencies need to be monitored based on other decipherable factors like frequently visited sections of the website, search history, customized search information, opt-outs after a push notification will be key. There may also be opportunities like segmentation of users, which can determine the frequency. Since the very customer is a KING, a KING should not be disturbed. Frequently pushing the same notifications, ignoring time zone preferences could lead to undesirable results. Forceful messages yet concise in form lead to desirable outcomes. Messages encouraging a desirable action rather than merely informing the customer are beneficial to the business. At the same time, there will always be a need o distinguish oneself from the competition. Surveying the commerce landscape at regular intervals would help in understanding the changes in user experience and user interaction. The need of the hour is to cater to the commerce segment quickly. A business looking to expand its reach and establish a presence in the cyber world has the usual questions around the capital to be invested and ROI. While creating a mobile application may score over a standard website, the costs involved in building an app may appear daunting and prohibitive for small and medium businesses. ROI could also turn into a drawn out affair. There could also be businesses or individuals that are under a debt review. One could seek help from professional debt counselors. If you are part of a debt review and at the same time if you would want to cater to the start with an e-commerce business line, authorized credit providers can help. The important point to note is that not all debt counselors are competent. You can approach a business debt relief company to get clear of all the debt value at a go and create a debt relief plan as well. However, before settling down with a particular firm, it is essential to read the services provided by them for business debt reviews. It will help you to understand their services accurately and clearly. For starters, it would be better to start with a website. Based on the success and feedback derived from web push notifications, it can help decide the future course of action. Every business now needs a staging post on the e-commerce highway. A website is akin to a flag flying high on a pole. It delivers the required presence and identity for potential consumers to relate and recall. A brand presence is established. Contemporary physical marketplaces also need a digital version. Technology has proven a great leveler. Traditional businesses leveraging commerce have been able to proliferate and spread their presence across geographies. Transactions no longer require a physical presence. They can be conducted anytime, anyplace between any numbers of people. For any business, e-commerce is the stepping-stone to an information society of the future. While e-commerce has helped in rationalizing costs, creating leaner processes, increased efficiencies, it has also helped centralize the realm around the customer. Happier customers mean healthier companies.